Located in exclusive guard-gated DeBordieu Colony just minutes away from the private Beach and Clubhouse, this low country home is situated on a corner lot. Upon entry, floor-to-ceiling windows flood the Great Room with sunlight. The vaulted ceiling opens the space to direct the eye to both the serene lake and the 11th fairway. The living area is extended by both a front porch and rear private deck. First Level: Foyer, Study/Office, Great Room with pass-through to Kitchen with natural pine cabinetry. Informal Dining Room and large Master Bedroom have walls of windows to afford multiple views of the lush and vibrant surroundings. Powder Room and Laundry Room complete this floor. Second Level: Loft effect joins two en-suite bedrooms as well as a third bunk room. A detached 2-car garage completes this offering. The countless amenities of DeBordieu Colony, a private 2700 acre community, await... miles of secluded beach, bike paths and walking trails, salt water creeks, two pools with Gazebo Bar, Tennis and Fitness Center as well as fine or casual dining at the Clubhouse and/or Beach Club and Championship Golf on a course designed by Pete and P. B. Dye. Drive time from the security gate to the 6000' runway at Georgetown County Airport is approximately 20 minutes. 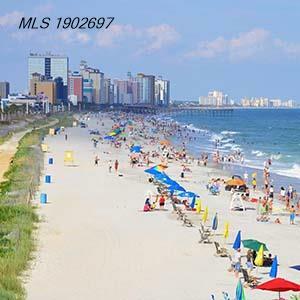 Charleston and Myrtle Beach are approximately one hour's drive south and north respectively.